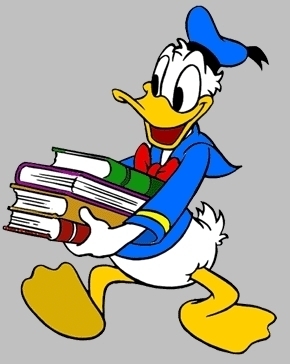 Donald will be a genius with all these books ! He's studying up for our quizzes! because with our quiz you must study a lot !